Frieda's Produce kindly sent me a nice box of late summer produce and tucked in there were some gorgeous blood oranges along with a bag of beautiful Hatch New Mexico chiles. Right off the bat my mind went straight to some roasted Hatch chile infused tequila that would be just righteous in blood orange margaritas. I turned on my broiler and got to work on the hatch chiles for the infused tequila. 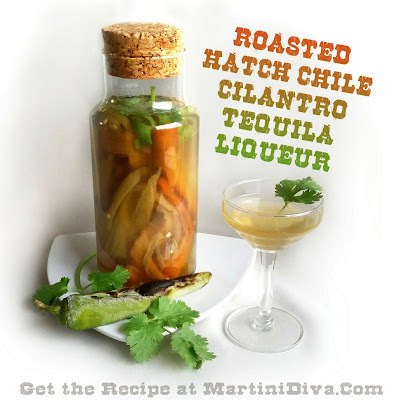 You'll notice the Hatch Chile Cilantro Infused Tequila has honey in the recipe. You'll find out why I added honey as you read the article, but I'm not writing any spoilers here, you'll just have to read the post. Technically adding any sweetener makes it a liqueur, but for this margarita it works just fine as tequila since the honey balances nicely with and brings forward the blood orange. Rub your glass rim with a blood orange slice then dip into the salt/paprika mixture. Chill your glass in the freezer. 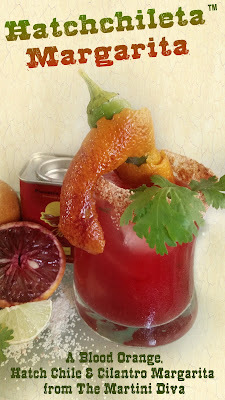 Fill your cocktail shaker with ice then add the Hatch chile tequila liqueur, blood orange juice, agave syrup, and lime juice. Shake until well chilled then strain over ice in your chilled rocks glass. Garnish with a roasted hatch chile pepper wrapped in a blood orange peel and a sprig of cilantro. Express the oils from a sprig of cilantro onto the top of your margarita and enjoy! * USE FRESH LIME JUICE! Did you know that citrus can go bad within 15 minutes of being cut open? It definitely loses a lot of nutrients and flavor. How much more time does it take to cut open a lime and squeeze it as you make your cocktail than twisting the cap off some bottled stuff? Right? If you've ever spent any time in New Mexico in fall you will be familiar with the smell and sight of roasting "Hatch" (New Mexico) green chiles. In late summer through early fall, on nearly every street corner, you will encounter a smoking, rolling black canister of New Mexico's famous "state vegetable" perfuming the air. (Yes, technically, chiles are a fruit but don't tell that to N.M. legislators!) When those grated black roasters start popping up you know hatch chile roasting season has arrived and fall is right around the corner. It's New Mexico's version of the pumpkin patch but it brings a lot more heat to the season! Similar to the familiar Anaheim (which is actually the California child of the New Mexico chile), New Mexico chiles come in a range of heat levels, are green when young and turn red as they ripen. Grown in and around Hatch, New Mexico, Hatch chiles are from the New Mexico No. 9 chile developed by Dr. Fabián Garcia back in 1888 at what is now New Mexico State University (NMSU). While New Mexico chiles are grown throughout the state, the Hatch chile truly comes only from the Hatch area, though the lines have gotten a little blurred over time and the name "hatch" stolen by other chile growers to trade off its culinary caché. There are a number of varieties and hybrids of the New Mexico and Hatch chiles developed by NMSU's College of Agricultural including: NuMex Big Jim, NuMex Sandia, NuMex Joe E. Parker New Mexico 6-4, NuMex Heritage 6-4, NuMex Heritage Big Jim, Barker Extra Hot and NuMex R Naky. Each has it's own flavor and heat level which is then influenced by the soil and growing conditions, but the New Mexico No. 9 is the heritage (heirloom) of them all. Hatch chiles are a staple of New Mexican cuisine. You'll find them in and on everything everywhere there's food or drink being served in the state. They are so ubiquitous that when you order nearly any dish in New Mexico you are invariably asked, "Red or Green?" meaning red chile sauce or green. The green ones are usually roasted and the red ones are usually dried before they are used in cooking. Supposedly green is milder and red hotter but that all depends on the chile so when in doubt, ask. If you can't decide which sauce you want then you order Christmas and you get both. I spent quite a few summers in New Mexico doing art shows where I was exposed to many Hatch chile seasons. Prior to this time I had a somewhat serious reaction to capsicum in chilis, my whole mouth would blister and my palate could go dead for hours, sometimes days. This made my dining experiences in New Mexico a bit of a hazard for the first few years, but thanks to continued exposure I was able to acclimate my mouth to the heat and even begin to enjoy it. 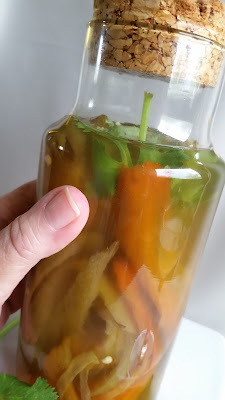 Even though I'm still not going to pop a raw pepper in my mouth, I fell in love with the flavors of roasted chiles, in particular the New Mexico varieties, and started to incorporate them into my food and drink. When I was bemoaning my lack of true, authentic beloved Hatch chiles last week, Frieda's Produce kindly stepped in and sent me a huge box filled with the sweet and spicy, green lovelies for my cocktail endeavors. I immediately roasted them and put them (some, others are being hoarded for cooking) into tequila! You'll notice I added honey to my infusion below so, technically, this makes it a "liqueur" and not simply infused liquor. Why did I add honey? Because I did want to use some of my chile tequila for shots and honey will soften the punch of the heat from the chiles. It's not really enough honey to make this very sweet, just enough to cool down the heat. Remember I'm a bit of a wuss when it comes to peppers and these Hatchies were getting pretty close to my pain threshold! Why do you think honey is always served with the sopaipillas as the traditional New Mexican dessert? Because honey will cool the heat from the dinner you just ate! Combine the roasted Hatch chiles, lime zest and honey with the tequila in one of your quart jars. Gently squeeze the cilantro to express the oils over the jar then drop the cilantro in. 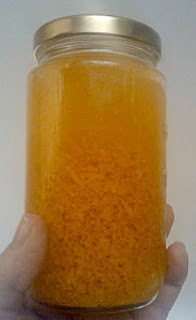 Allow to infuse for 3, and up to, 5 days, shaking the jar often. Strain through a cheesecloth lined metal strainer into a clean jar, toss the detritus and enjoy in some of my cocktails below. First, PUT ON GLOVES!!! I forgot and within 10 minutes of peeling my roasted peppers my hands were burning like hellfire! Don't touch your nose, eyes, or mouth during this process either, just trust me on this. Clean your chiles then place in a single layer on a baking sheet and broil each side just until the skin turns black. Mine took about 12 -15 minutes on the first side at a distance of 4 inches from the broiler. The second side was much quicker. Keep a close watch or your chiles will be mush. Immediately place the roasted peppers into a plastic bag to steam for 20 minutes. This will make the skin easier to remove. To peel, grab the chile by the stem and pull it off, this will remove the majority of seeds as well. Then slid the chile between your fingers to push it out of the skin. Discard stem, seeds and skin. Do NOT rinse the chiles or you will remove the flavor oils. Don't be worried by the small amount of char that might be left in your chili, that's just a flavor enhancement. Use or freeze, the chiles supposedly get hotter with freezing but I couldn't really tell, they're hot either way to me! Chile is the pepper, chili is a stew. Those dried red chile wreaths you see hanging from nearly every doorway are called ristras and are a traditional drying method of chiles. The drier and hotter the weather, the hotter the chile. The official "state question" of New Mexico is "Red or Green? ", adopted in 1999. Hatch, New Mexico hosts The Hatch Valley Chile Festival on Labor Day weekend every year. 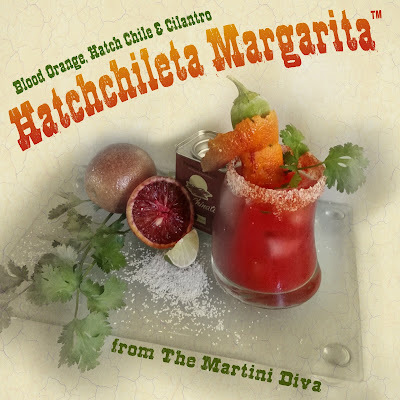 Try your newly hatched Roasted Hatch Tequila in my HATCHCHILETA MARGARITA. 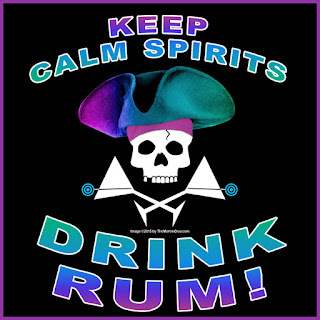 It's also a great spirit for spicing up some Bloody Marys and could really lend some extra flavor and heat to many of my Mucho Margaritas. 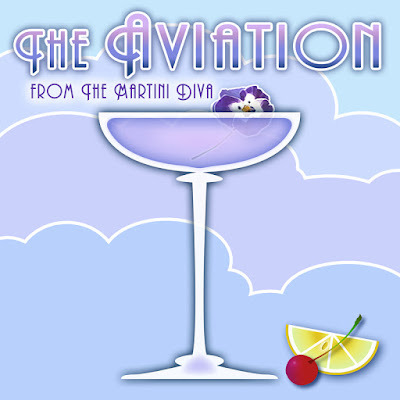 "Cocktails are not worth intellectualizing, they are just something to be experienced." To the shock and sorrow of the entire cocktail community, a legend in the bar and cocktail industry, Sasha Petraske, passed away on August 20th at the age of 42. Petraske, who revolutionized the bar and cocktail scene in 1999 with his speakeasy styled bar Milk & Honey, was one of the forerunners of the craft cocktail upsurge, specializing in pre-Prohibition drinks with 1920's style flair. His approach to happy hour was simple and honest. Make a great cocktail with great ingredients, create an urbane and gracious ambiance for guests and be humble about it. 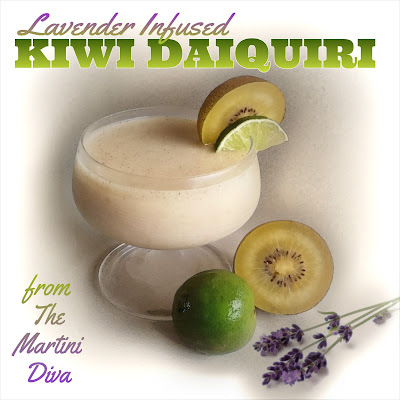 Fill your blender with the ice then add in the rum, lime juice, golden kiwi chunks, lavender simple syrup, dash of salt and pulse until blended. Pour into your chilled glass, garnish and toast to the memory of Mr. Petraske along with rest of us this coming Monday, August 31st at 9 p.m. Boil the water, sugar and lavender, stirring occasionally. Once the water boils, lower the heat and simmer for 2 minutes. Strain through a fine sieve and cool. Cheers and Thank you, Mr. Petraske. 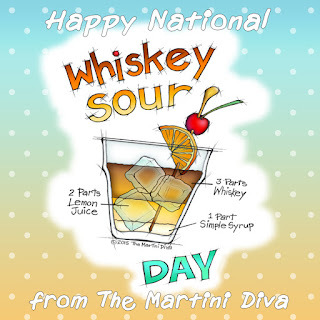 You made the world of cocktails better. After I saw a tweet from McCrea's Candies for their Single Malt Scotch Caramels, retweeted and commented on it, they generously sent me a lovely assortment of the various flavors of their handcrafted caramels so I could apply some happy hour magic and turn them into cocktails. The say on their website "No Chemicals, No Corn Syrup, No Compromise" and that's evident the moment you pop one in your mouth. They are creamy, melt-in-your mouth morsels of true, really natural, caramel excellence. It was a real challenge for me to keep from eating them all up before they ended up in any booze. As for infusing my cocktails with them, I realized the easiest way to do this was to turn them into liquid form. 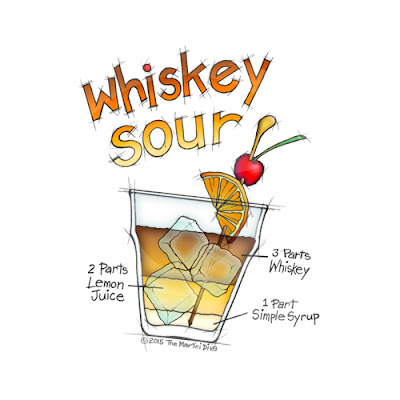 The only way to do that, without altering their culinary quality, was to infuse them directly into the spirits themselves. As it turned out, I couldn't have made a better decision. 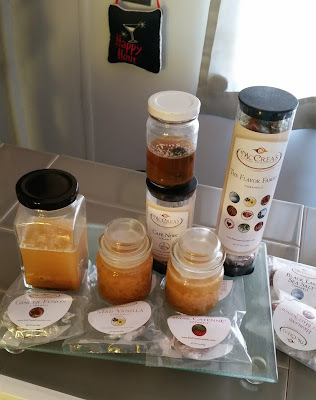 These particular caramels dissolved perfectly in the liquors, had very little sediment to filter out because they were all natural, and they imparted the most amazing creaminess to each of the spirits I used. I've used caramels before in infusions, but never to this high degree of finished product. I ended up with really nice quality caramel liquors with each of the spirits I chose to pair them up with. Make sure your infusing jars (and storage jars if you're using them) are cleaned and sterilized. 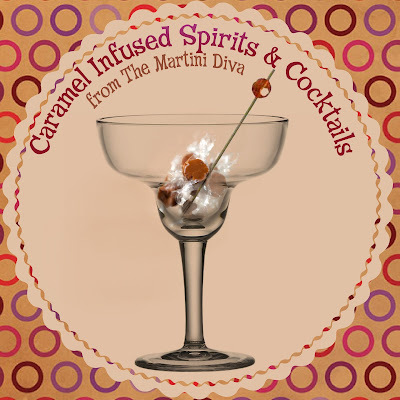 Unwrap the caramels and add them to your infusing jar then simply pour your chosen spirit on top. Let the caramels dissolve, shaking the bottles as often as possible to speed the process and keep the candy from sticking together. The infusion will take a day or two at most. It will be hard to tell if your caramels are completely dissolved because as they dissolve the liquor becomes creamy and it's hard to see, but two days is enough, especially if you're shaking the bottles often. The final step is to strain your liqueur into your spouted measuring cup, first through cheesecloth, then, little by little, through coffee filters. Pour through the funnel into your storage bottle and store in the refrigerator. The final product should last up to 6 months, but trust me, you won't have it around that long. INGREDIENTS: 1-1/2 Oz. Ginger Fusion Caramel Rum 1 Oz. Apple Pucker 1 Oz. Apple Cider Caramel Sauce Ice DIRECTIONS: Drizzle some caramel sauce into the bowl of your cocktail glass then immediately place in the freezer to freeze the drizzle in place. Shake all the other ingredients over ice in a cocktail shaker, pour into your chilled glass and enjoy. BASIL CHOCOLATE CARAMEL MARGARITA INGREDIENTS: 1-1/2 Oz. Basil Caramel Tequila 1 Oz. Dark Creme de Cacao 2 Tbsp. Half & Half 1 Tbsp. Orange Liqueur Cocoa & Sugar Chocolate Ice DIRECTIONS: Dip your glass rim in some chocolate syrup then into the cocoa sugar then chill glass in freezer. Add the Basil Caramel Infused Tequila, Dark creme de cacao, orange liqueur and half & half to a cocktail shaker filled with ice. 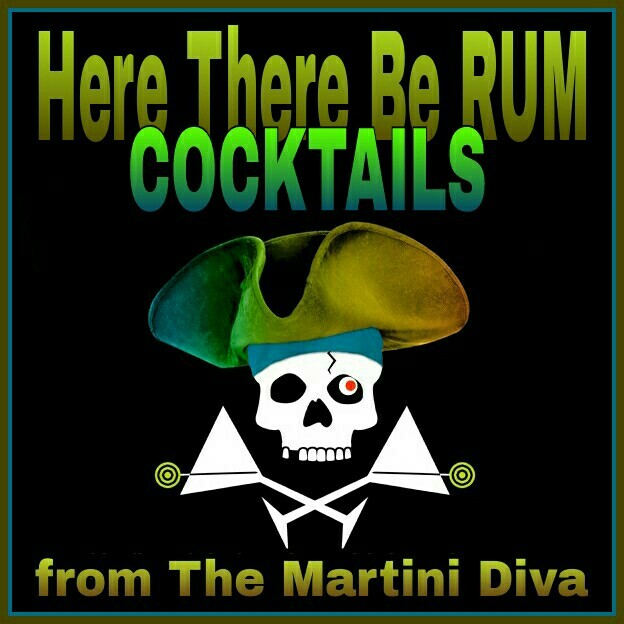 Shake until icy cold then pour into your rimmed glasses. Garnish with the basil sprig and an orange slice and enjoy. 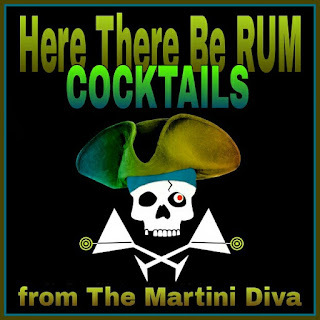 LAST WORD: If you want to make great cocktails use great ingredients. McCrea's made these caramel candy infusions great. Frankly, I had very little to do and I loved that! Zest all the Clementine oranges. Save the fruit for later recipes. 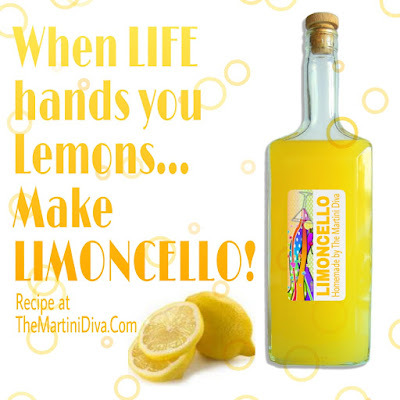 Add your Clementine zest to your infusion bottle. Pour the vodka over the zest. Allow this to infuse for a week. Strain out all the clementine zest using your metal strainer lined with cheesecloth. Clean out the infusion bottle, dry. Pour the clementine vodka back into the infusion bottle and recap. Make a simple syrup by combining the water and sugar over medium heat: Bring both to a boil, reduce heat and simmer until the sugar has completely dissolved. Pour this into your vodka/clementine infusion. 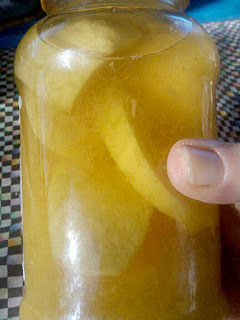 Replace the lid and allow this to infuse for another week minimum. You can let this infuse for up to a month. After the final infusion, pour into your decorative bottle, label and enjoy! 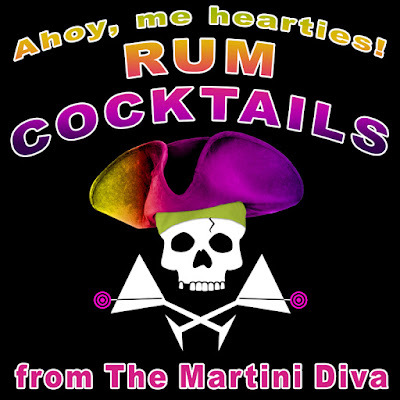 CHECK OUT MY FUN COCKTAIL THEMED LABELS HERE! Yes, you can use any type of orange you want. This recipe is fabulous using blood oranges! You won't need as many of normal sized oranges as you do of the Clementines either, maybe 10 or so medium oranges or 8 large ones. You can make Orange Vodka using these same steps, simply stop the procedure before making and adding the simple syrup and go directly to straining, then pouring the Orange Vodka in your decorative bottle! You can put slices of orange in the mix as well but I have found the slices add some bitterness from the pith so I stick to just the zest. The zest contains all the flavorful oils which also infuses quicker. 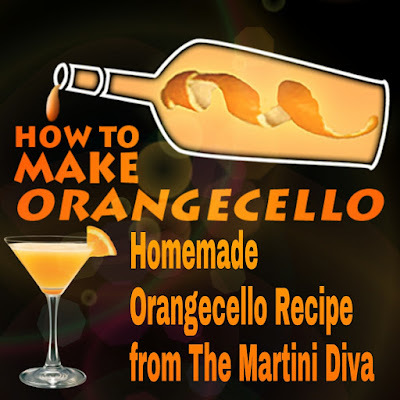 You can reduce your Orangecello by slowing heating in a saucepan and use as a sauce! Just remember to use caution until the alcohol has burned off. Try adding some complementary fresh herbs or spices. Use honey instead of simple syrup. Use a combination of different oranges. Combine with other citrus fruits like grapefruit and lemon. Tombstone, Tourism and Tipples of the Old West ... You Can't Get There from Here Anymore. Photo from https://en.m.wikipedia.org/wiki/File:Allen_Street_Tombstone.jpg My friends, Melodieann (@boomerbizcoach) and Derle stopped here in Tucson this weekend for a visit and a trip to see Tombstone, Arizona. Last year when they had visited me I had spoken of how much I loved Tombstone so we made plans. I remembered Tombstone for its Old West feel, old bordellos turned boutiques and the authentic watering holes that lined Allen Street back on my last visit in the late 90's. (That's the 1990's, not the 1890's, in case you're wondering.) 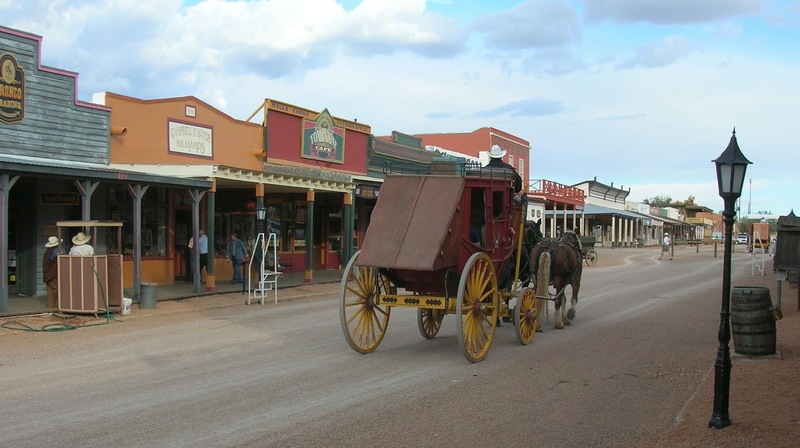 Tombstone, legendary town of The Old West, one time home of such western notables as Wyatt Earp, Doc Holiday, The Clantons, Johnny Ringo and other heroes, villains and saloon singers, is a National Historic Landmark. That's right, the whole town. Of course it's a fairly small town these days with a population of around 1,500 folks and one short street as it's main attraction, but it's all a National Landmark. At an elevation of 4,550 feet it's also considerably cooler than Tucson and we were all looking forward to the cooler temperatures and the ability to walk the street without melting into the wood planked sidewalks. Me, because, even though I live in Tucson, I had not been back in years, Melodieann and Derle because they'd just come in from Las Vegas and Death Valley. Sadly it was not the Tombstone I fondly remembered, the one with residents dressed in period clothing walking about, great local vittles being sold off western themed street carts (best fry bread I've ever had), historic old buildings and bordellos revamped as fun shops and the occasional and seemingly impromptu gun fights exploding out into the street enacted by dusty and appropriately garbed local actors. My first glance down Allen Street revealed an excessively groomed, too neat, too clean mock-up of a faux old mining town vista. It was more pristine than even Disney could have managed, manicured and molded into a modern lineup of mostly tourist traps, not one horse puckey in sight (despite the constant trudging of the poor stagecoach Clydesdales), not a crumb of character, not a whiff of western ambiance, not one damn gunslinger in sight. I actually looked at the street signs to see if we were in the right place. All the things you wanted to see, the O.K.Corral, the World's Largest Rose Bush, The Bird Cage Theater, the Good Enough Mine and yes, even Boot Hill Cemetery are all now locked up and gated behind a ten or twenty dollar sign. You can peek in but if you want real history you'd better be prepared to pay a pretty peso or two hundred to get the real Tombstone. Allen Street is barricaded at both ends and you can ride the "Old Butterfield Stagecoach", for a price. You might see Wyatt and Doc lounging off a side street having a smoke on their gunfight break (in fact I up and asked Doc when the next O.K. Corral fight was planned - he was cute, bonus!) but if you want to see them shoot it out you're going to shell out some silver dollars. There are a few cowboy hats and boots being sported by the locals (with shorts!?) 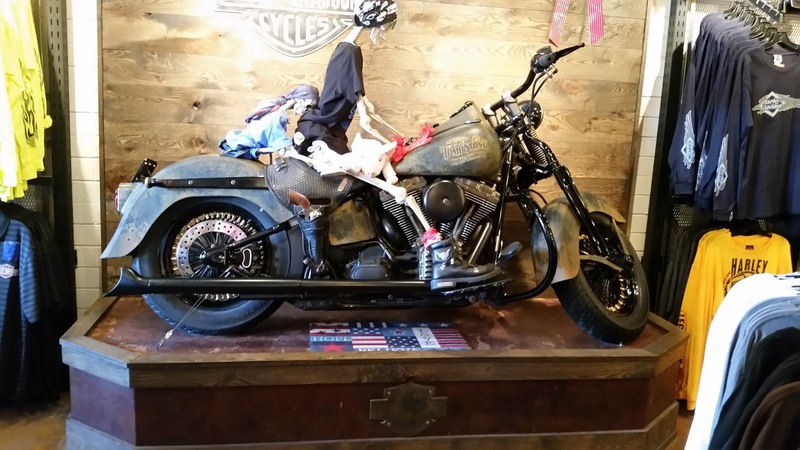 but you're just as likely to see a biker on the bar stool next to you at The Crystal Palace and Big Nose Kate's as a grisly cowpoke. Thankfully both The Crystal Palace and Big Nose Kate's were pretty much as I remember them, except for the big screen TVs all playing, yeah, you guessed it, Tombstone the Movie. WTH? I guess we needed to be reminded where we were? Big Nose Kate's is pretty much the same as I remember, crowded, a few of those grisly cowboys seated and standing around (chatting with the bikers), rowdy, crammed with dusty western brik-a-brac but there was a singer doing top ten hits, adding to the din and making a conversation pretty much impossible. Kate's is now serving up their own branded pilsner in souvenir pint glasses which I wanted to try. 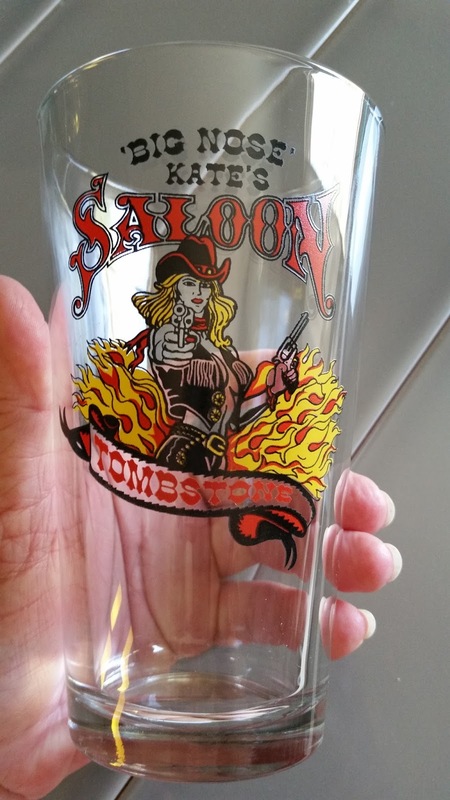 But there's no big nose on that pint glass Kate, famous bar saloon singer and girlfriend of Doc Holiday, just a modern day blond cowgirl holding a six-shooter. Another blow to history since Kate was a songbird not a gunslinger, but the pilsner was good. I don't know if the Harley Davidson shop had anything to do with it but, as mentioned before, there's quite a few bikers hanging about. Not a negative for me as I'm an ex-biker myself and both Melodieann and Derle ride. In fact, if I lived closer, I'd feel right at home in the new Tombstone for a local happy hour and beyond hangout, but it's not a bit historical. Two of the bikers kindly gave up their table for us to sit down and have a burger, the most friendly act we encountered the whole day. (Thanks, guys!) But where did all the cowboy go?? 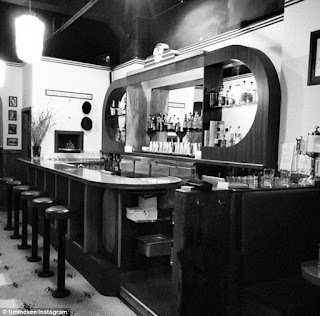 As for The Crystal Palace, thank heavens, it's still the great bar and restaurant I remember, no Faro or gambling of course, but "STILL SERVING GOOD WHISKEY & TOLERABLE WATER", and pretty decent burgers and food. And the barmaids are in period garb, boobage and all. This was where I spied the promotional tablecards for the Not Your Father's Beer and, eschewing my planned order of a shot of some local "Red Eye", I ordered a bottle. 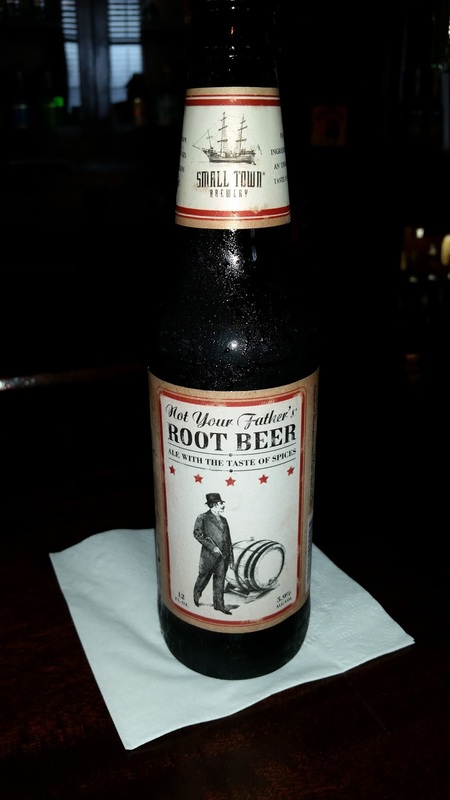 Yes, it did taste like root beer and at the back you got the ale. The first couple of sips were pretty good. Then, slowly the sweet began to become too much, even for me and I didn't finish the bottle. Derle barely touched his (sorry D), and Melodieann quit a bit before I did. It was not badly priced, even in a tourist town, $13 plus tip for three bottles and I'm glad I tried it. But no six packs of this particular craft beer will be taking up space in my home bar. 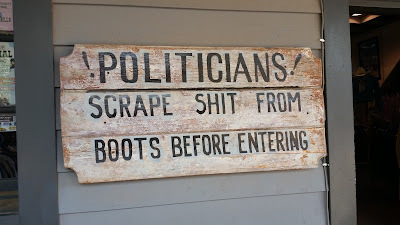 Despite the controlled attempts to extract as much dinero from the tourists as possible, we did have a good time in Tombstone. 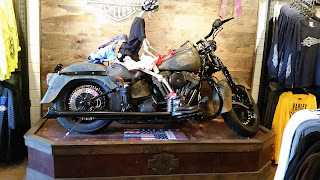 Mostly thanks to The Crystal Palace and Big Nose Kate's, a couple of beers, some friendly bikers and our own good humor. 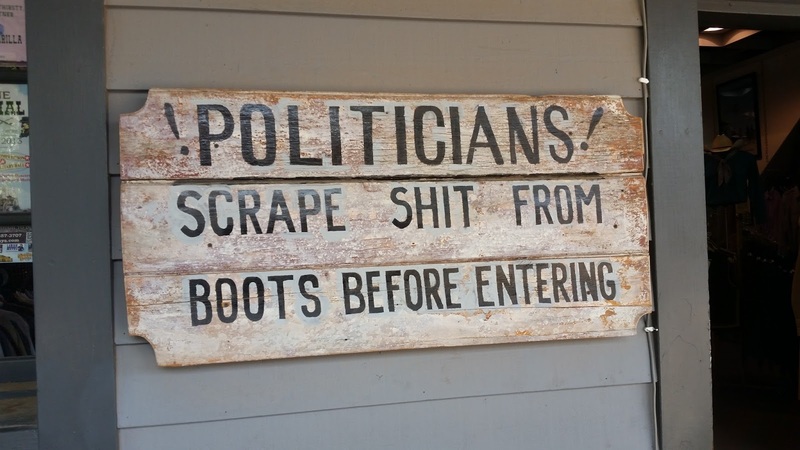 But if you're heading to Tombstone for a glimpse of the Old West and some history be prepared to pay dearly for the privilege or just skip the tourist ideas and have a decent burger and a drink at The Crystal Palace or Big Nose Kate's, the only bits of Tombstone that seem to be still standing, then head on south to Bisbee. 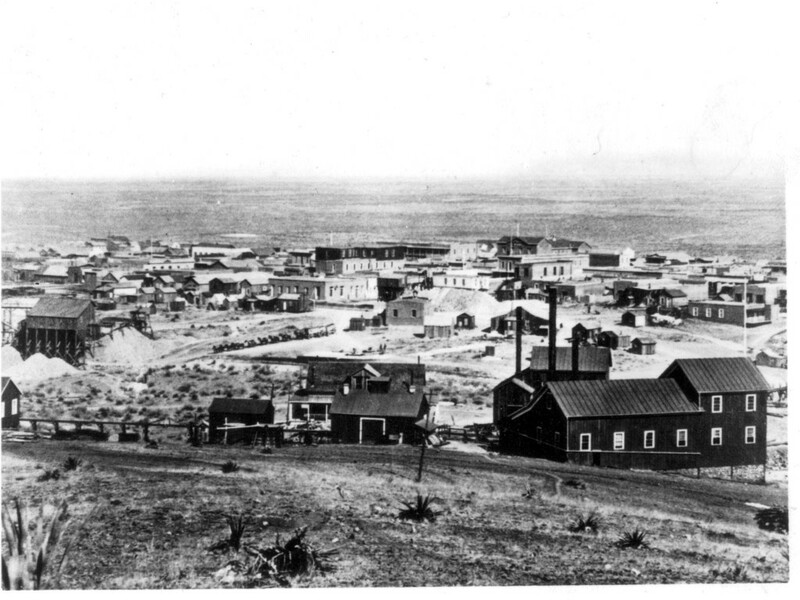 Tombstone may be "The Town Too Tough To Die" but it does seem to have done a disappearing act. ADDENDUM: One really great thing about our visit, nearly every other shop on Allen Street had a bowl or a bucket out filled with fresh water for the dogs! It was a wonderful thing to see and told me a lot about the people who live in Tombstone and their attitude towards the pets of guests. I thank each and every one of them for their kindness and consideration in this matter, even though I did not have Pixel with me I know she is welcome in Tombstone And one more thing, I may not have been happy as a tourist BUT I could really be extremely happy living in Tombstone. If you get off Allen Street you will see a truly quaint, neat and adorable small town of really great, historic and period homes. I suspect that the people are wonderful to have as neighbors as well.